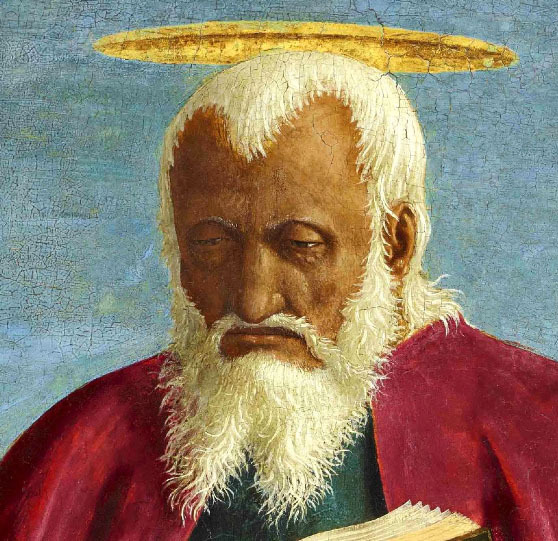 Saint Augustine, 1454-69; oil and tempera on panel, 53 1/3 x 26 1/6 in. 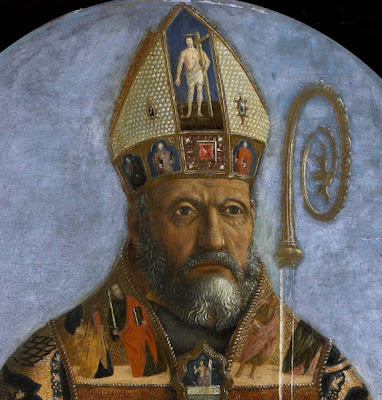 Standing in front of this painting of Saint Augustine, in the Oval Room at the Frick Collection, was like being in the presence of a powerful soul, one who looks past the immediacy of dailiness to an inward essence of life and faith. For me, seeing just this painting, from a museum in Lisbon, would make a trip to the Frick worthwhile, never mind the other works in the current show Piero della Francesca in America. At the link you can see the seven paintings in the exhibition and go on a virtual tour of the room in which they are hanging. There is something essential in the works of Piero della Francesca, beyond their skill and clarity, a quality I've been pondering, trying to understand; I believe that there is something here to help me understand my own painting. So I look at this head, so solid and present, and think of it in relation to portraits by Velazquez, such as this one in the Met's collection. Velazquez depicts palpable life, blood flowing under the skin, a figure about to move; Piero's figures are still, fixed in solemn contemplation. Some of Piero's linear clarity is of course related to the painting style of his times, the Quattrocento in Italy. He went beyond and deeper than many of his contemporaries, I believe through his study of mathematics, of geometry and perspective, a set of abstract truths pointing him to the divine; plus his own personal genius and aesthetic sensibility. 52 3/4 x 24 1/2 in. When people speak of his work as being calm, I would say "still". Rather than calm I see an austere presence, a severity of form and mien, in the sense of "a strict or stern bearing or manner" (Mirriam-Webster). Many years ago, when I first saw the great Piero fresco cycle at Arezzo, I was surprised at how passionate the paintings were; I'd been expecting something cool and intellectual from looking at reproductions. 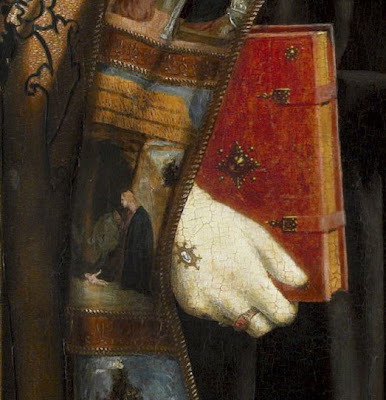 This passion is contained within tight bounds, lending the works a sense of the eternal, of life not easily spent, of looking beyond "this mortal coil". 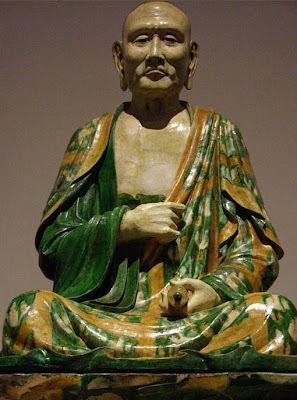 It came to me that the Piero portraits of the saints strongly reminded me of Buddhist sculptures at the Metropolitan Museum of Art, eternal, austere, and still, and deeply spiritual. I am going to make another leap, and compare this work to a similar yearning toward the essential and spiritual in the work of Kazimir Malevich's Suprematist period, and of other artists painting minimalist abstractions. 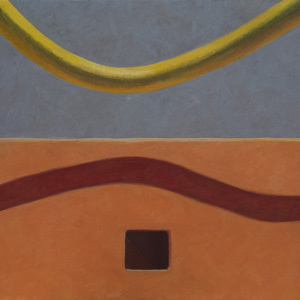 I wrote a blog post, "Geometric Abstraction: Toward the Essential" on this work. I feel that the sense of order, the precise form, the austerity of image, ties all this work together. Looking at Malevich, or at Mondrian, I realize that abstraction can be as powerful and moving as a figure painting; Piero points the way with his emphasis on geometry and perspective. As for my own work, I've felt that my paintings of the past few years are quite severe in sensibility as they move closer to abstraction. Without the softening effects of trees and sky and space they have an austere presence. The paintings of Piero give me courage, as does minimalist abstraction; my paintings are kind of tough, not lovable, but then the Pieros aren't lovable, except by the few: the lines at the Frick were for the Impressionist drawings. 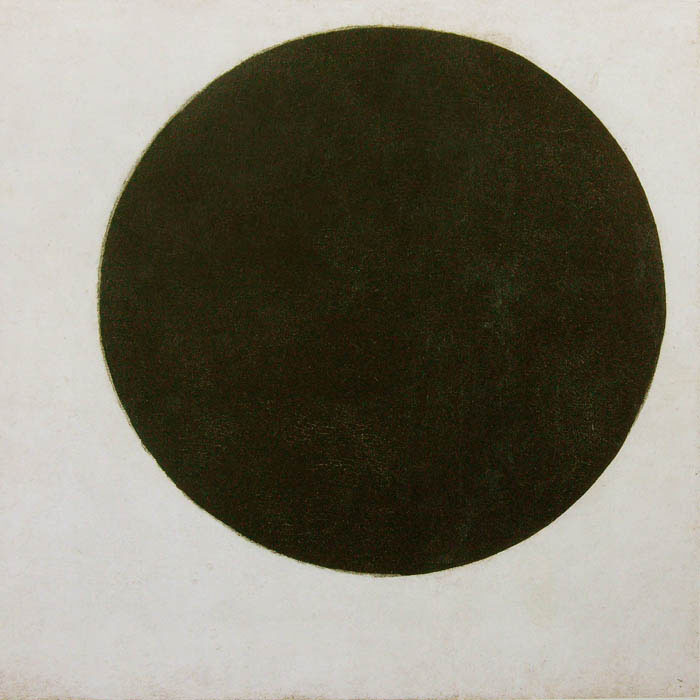 Kazimir Malevich, Plane in Rotation, called Black Circle, 1915, oil on canvas, 31 1/8 x 31 1/8 in. I love the distinction you make between "calm" and "still," Altoon -- but I am startled that you describe your paintings as "not lovable." I can only say that my emotional response to your work is not as austere as your own might be. 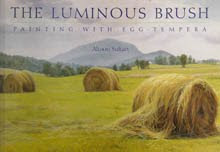 I do indeed love your paintings, as well as your textiles. Thanks so much, Ravenna for your support of my work, which is much appreciated. Altoon, I have been struggling with how to write about that exhibit since I saw it over a week ago. Every time I have sat down to describe my experience I felt stymied, frustrated. So I called my Italian renaissance art historian daughter and talked with her about Piero's hold on me. She isn't the fan I am, but she did point out a few things that I have wanted to pursue. First, he did not have a "school" that followed him, and her opinion is that he did not create a legacy because he was not into exploring movement. That was an idea that took hold so in some ways the calm/still presence we feel in his paintings was not as captivating at that time. That's worth thinking about and researching further. Second, he did have a wry sense of humor. The dangling testicles in the Burial of the Wood (I'm smiling a little at that name!) was located in a place where most people wouldn't see this detail but Piero knew it was there. Wry indeed! But this post of yours--this is brilliant. I love the way you brought in both of these counterpoints, the Buddha and the Malevich. Yes, yes YES. I may not need to write up my response now, just share this post of yours that does such a good job of bringing his inexplicable magic just a little closer into a languaged response. I will never forget the hour I spent in that room. Thank you. Thank you, Deborah, for that amazing response to this post; I'm so happy it struck you the way it did, and that my comparisons made sense to you. By the way, I certainly remember those dangling testicles; they're next to a figure I always think of because of the way he is biting his lip. By the way, the site linked above for the frescoes says that the Burial of the Wood was painted by Piero's main assistant Giovanni da Piamonte. A New Textile: "Green Ribbon"
"April, quite simply, is NOT to be trusted."